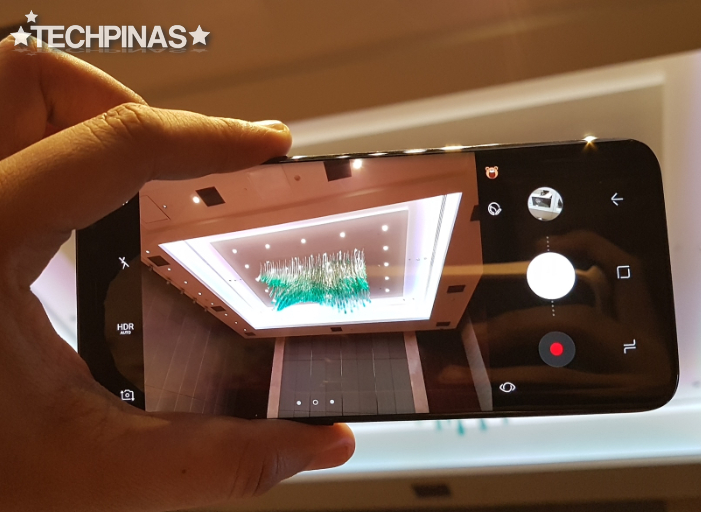 Here's the truth: Much of what was officially disclosed tonight by Samsung about its 2017 flagship Android smartphone were already known to us prior to this Unpacked Event at the City of Dreams Manila. 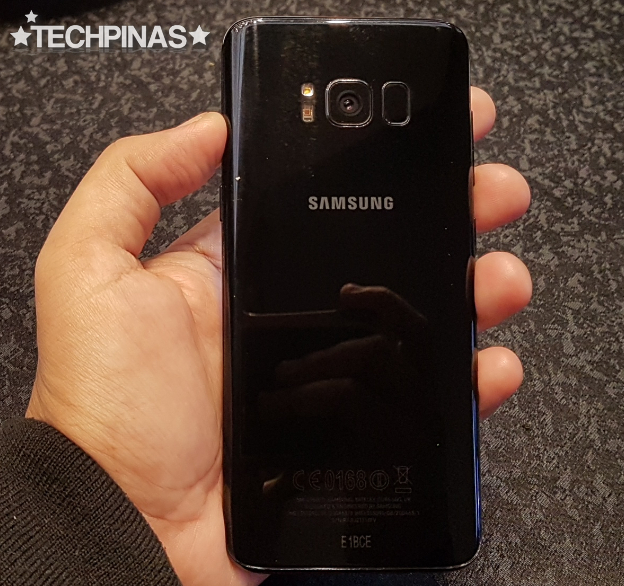 After all, Samsung Galaxy S8 had been the most rumored and talked about upcoming top-of-the-line handset within the past several months. And yet, despite already having an idea about how the device will look and work, none of the leaks could have prepared me for how gorgeous and sleek it actually is in the flesh. 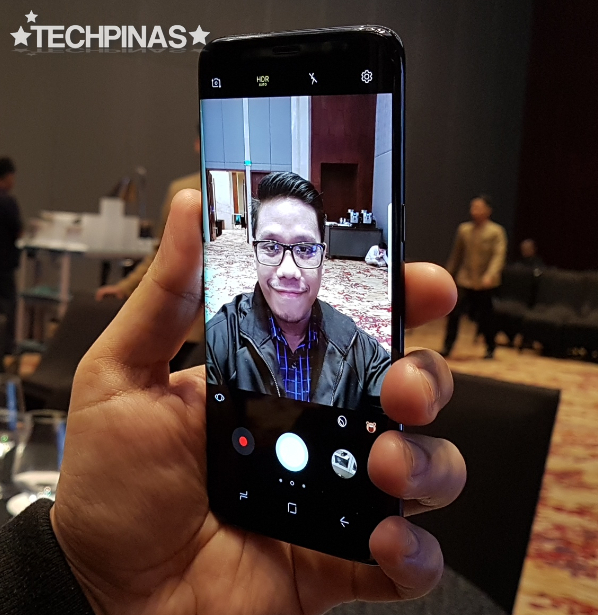 As one of the few tech bloggers in the Philippines to have actually played with the Korean Giant's 2017 flagship offering in the flesh, I will tell you this: Samsung Galaxy S8 is the most beautiful smartphone that the company has released so far. In terms of aesthetics, Samsung Galaxy S8 is already a winner by a clear mile. And I'm sure that millions of consumers will purchase the handset on this merit alone. Just like its immediate predecessor, Samsung Galaxy S8 is also IP68 Certified, which means that it is protected against water and dust ingress. You'd be glad that your phone has this feature if you accidentally splash water on it or drop it in the sink. What's incredible, however, is that this model's physical appearance is hardly the only thing that's of note about it. In fact, I can safely that in all departments or areas that need to be covered in crafting a smartphone, this specific device is the current industry leader. Let's start with the display: The smartphone sports a 5.8-inch SuperAMOLED display that gently curves down either sides and is protected by scratch-resistant Corning Gorilla Glass 5 touchscreen panel. 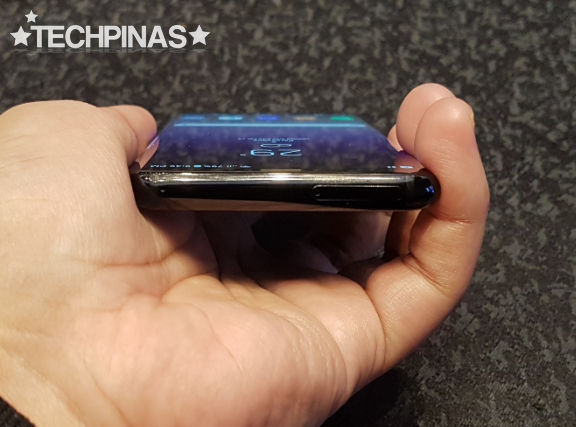 What I find truly amazing is that despite having a screen this big, the handset only measures 148.9 x 68.1 x 8 mm, making it even smaller than the Samsung Galaxy S7 which only has a 5.5-inch display! 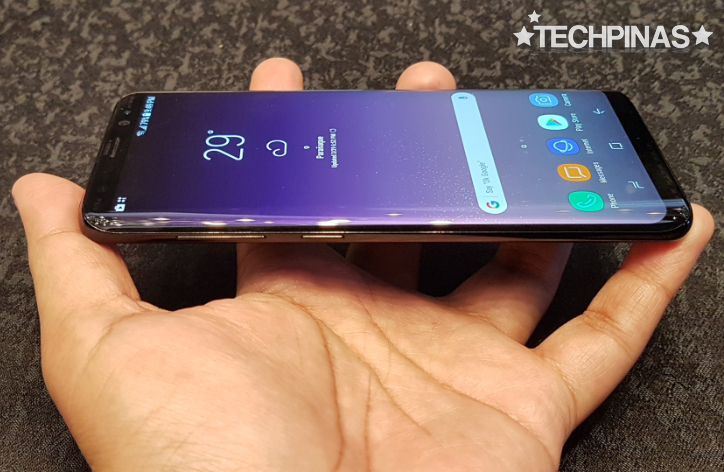 Samsung was able to do this not only by almost eliminating the bezels framing the screen but also by giving it a taller 1440 x 2960 pixels resolution that covers more of the top and bottom portions of the bezels without making the device wider. The company markets this look as 'Infinity Display'. 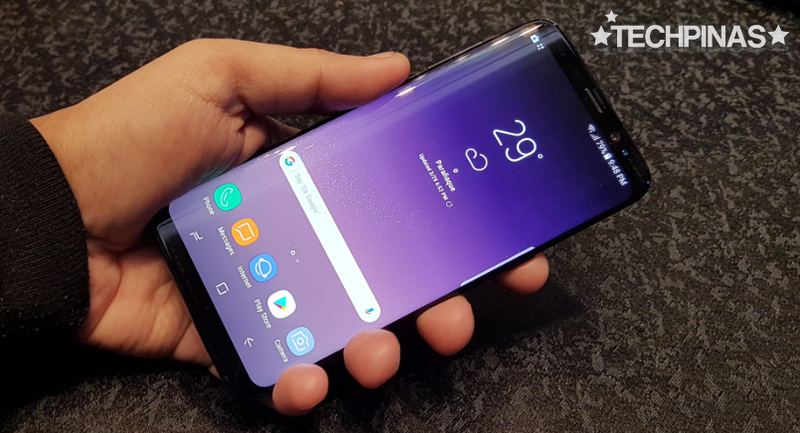 Samsung Galaxy S8 is the first high-end Android smartphone from the company to ditch the the physical home button below the display, replacing it with a pressure-sensitive portion at the bottom of the screen that gives a tactile feedback when you press on the virtual buttons. Now, as for imaging capabilities, this model - just like its predecessor - definitely stands shoulder to shoulder with the best of them. At the back, the device sports a 12 MegaPixel Dual Pixel camera with f/1.7 aperture, phase detection autofocus, 1/2.5" sensor size, 1.4 µm pixel size, LED flash, Optical Image Stabilization, and 4K 60fps video recording capability. I'd say its performance is largely similar to that of the S7 Edge, which is certainly not a bad thing. The bigger and more noticeable improvement can be seen on the front camera, which now has a higher resolution at 8 MegaPixels, which allows it to deliver far clearer and more brilliant selfies. 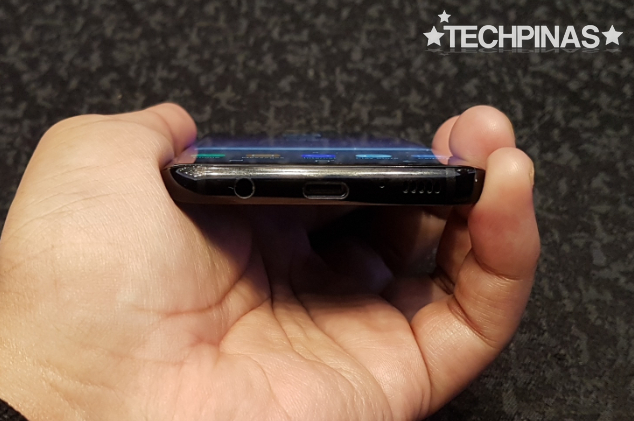 SGS8 is powered by a non-removable 3,000 mAh battery pack, which was carefully crafted and placed by Samsung inside the handset, bearing in mind the lessons learned from the Note7 debacle. 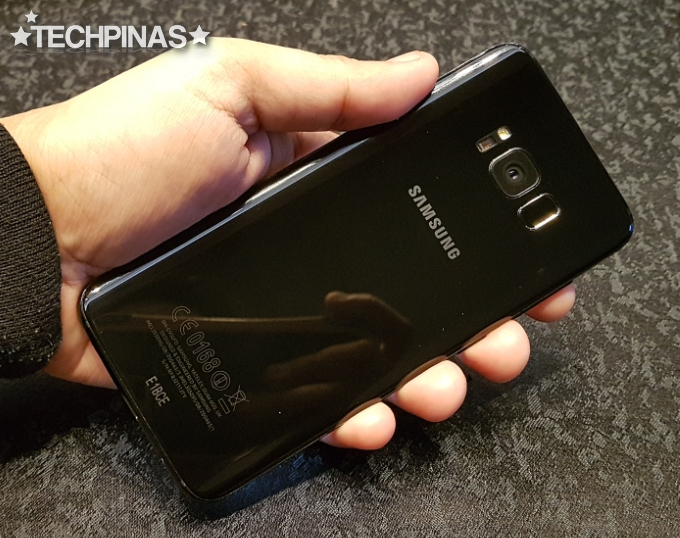 Under the hood, the version of Samsung Galaxy S8 that's coming to the Philippines runs its TouchWiz-skinned Android 7.0 Nougat OS with the powerhouse 64-bit Octa Core 10nm Exynos 8895 processor incorporating a Mali-G71 GPU that's scalable from one to a whopping thirty two cores, making the handset a real beast when it comes to gaming and recording 4K videos. Complementing this powerhouse processor are 4GB of RAM for multitasking and 64GB of internal storage that can easily be augmented using the hybrid secondary nanoSIM card slot. Crafted to give users peace of mind and a high level of mobile security, SGS8 supports a number of unlocking options including the standard pattern and password as well as more advanced ones utilizing the Fingerprint Scanner and Iris Scanner. On top of this, the handset allows the user to encrypted folders for private documents and content, adding a whole other layer of protection. Samsung Galaxy S8 now has a USB Type C port; A level up from the microUSB 2.0 port of the Samsung Galaxy S7 Edge! 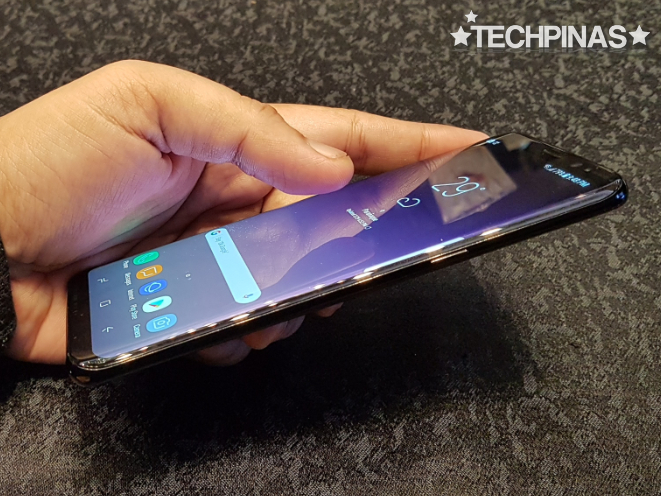 SGS8 also features the all-new Bixby virtual assistant - the Korean company's answer to Apple's Siri - which can be launched via a dedicated hardware button below the ones for volume up and down. Made to interact with Samsung apps and other supported third party applications, Bixby allows the use of voice commands to perform tasks, generates cards on the home screen ala FlipBoard based on the user's interests, and performs searches through object recognition using the camera. More about this service on TechPinas soon. 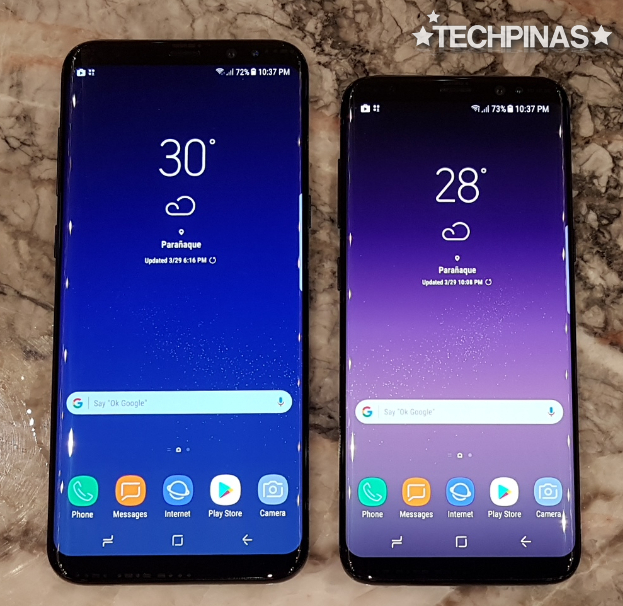 6.2-inch Samsung Galaxy S8 Plus and 5.8-inch Samsung Galaxy S8, respectively. 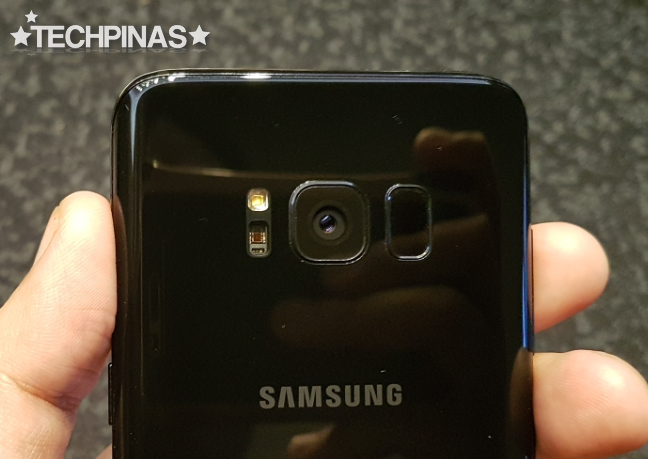 Upon launch, Samsung Galaxy S8 will don an official SRP of Php 39,990 in the Philippines and will be out in a number of elegant colors, namely, Maple Gold, Orchid Gray, Midnight Black, and Arctic Silver. The company has yet to disclose the phone's exact release date in our market but I guess it will just coincide with the global release of the device happening on April 21, 2017. 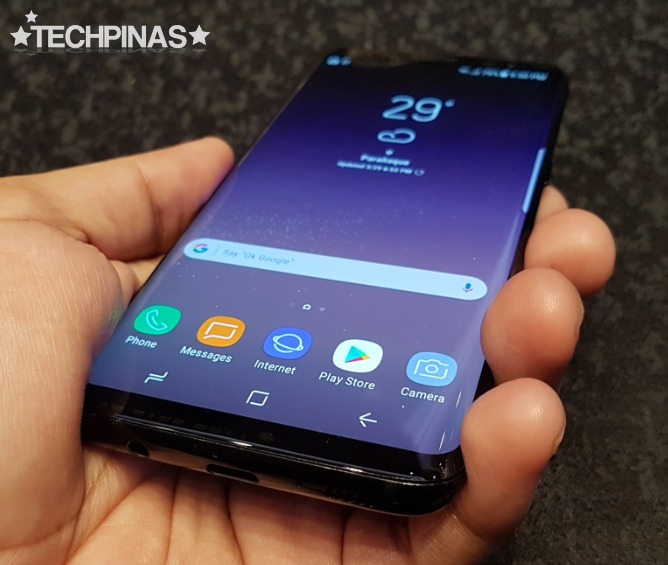 Smart Communications, the largest mobile network in the Philippines, now offering the Samsung Galaxy S8 as a bundled handset with all of its postpaid plans, starting at Plan 399.